Codes and Ciphers, Engineering in the Wilderness, and Create Your Own Chinese Masterpiece are a few of the 36 classes bringing over 450 students from across the region to WKU’s campus in Bowling Green and to the Kentucky Science Center in Louisville. The 2018 slate of Fall Super Saturdays classes kicks off on Saturday, October 20. Coordinated by The Center for Gifted Studies, the event offers minds-on, hands on learning to high-interest, high-ability students in first through eighth grades. With classes taking place on Saturdays in October and November, Super Saturdays promotes students to continue learning while not in school. Children are encouraged to explore and pursue their passions outside the regular classroom while being in a fun and supportive environment with enthusiastic, like-minded peers. Classes include Get Energized: Engineering with Hot Wheels, where students explore potential and kinetic energy by observing, predicting, and measuring how ramp height has on the transfer of energy. 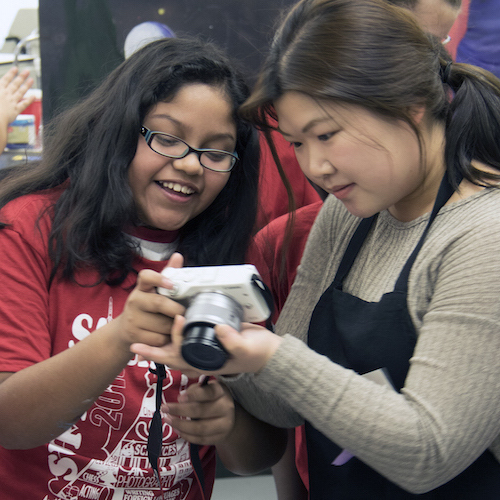 Artistry Through the Camera not only details the science of photography, but also offers students the chance to experiment with composition, lighting, and other elements that make photography such a compelling art form. For more information about Super Saturdays, visit The Center for Gifted Studies website. About The Center for Gifted Studies: Located on the WKU campus in Bowling Green, The Center for Gifted Studies has been serving children who are gifted and talented, their educators, and their parents for more than 36 years. The Center provides exciting educational opportunities for gifted young people, rigorous professional development for teachers, and support for parents of gifted young people. Under the direction of Dr. Julia Roberts, The Center has become one of the preeminent advocates for gifted education in the United States. The Center believes that when gifted young people meet their extraordinary potential, our communities, our state, our nation—even our world—become better places. That is why each school year, The Center renews its commitment to encouraging excellence by providing quality programming and resources for gifted students, their teachers, and their parents. Contact: Jesse Knifley, (270) 745-3014 or jesse.knifley@wku.edu.